Come join us Saturday morning, March 12, to check out MBI Motors and meet owner Corbin Lancaster over some coffee and donuts. 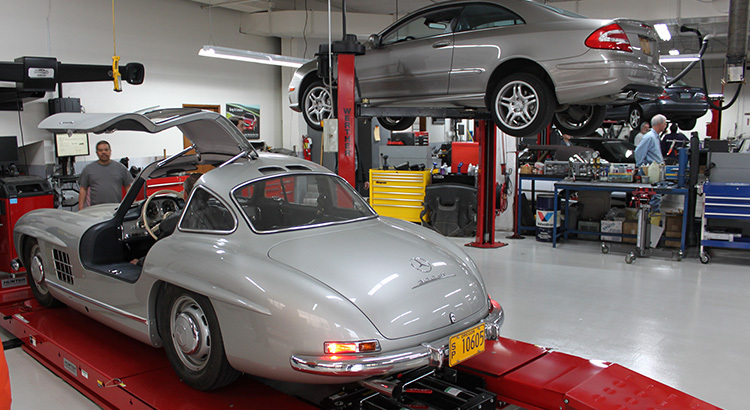 MBI Motors has specialized in Mercedes since 1969 but has also welcomed BMW owners the last decade. Corbin and his team have many years of experience in caring for your BMW and Mercedes-Benz, as well as MINI and smart cars. A representative from BG Products, a manufacturer and distributor of high quality additives, cleaners, and special lubricants, will also be on site with a presentation focusing on fuel additives and engine oil additives. I use these products when MBI changes the oil on my 2007 530i (E60). Later in the morning there will be a few techs available to perform a free safety inspection on your vehicle. Please note that this will only be available to the first ten vehicles that have requested it due to time restrictions. In addition to the complimentary breakfast treats, lunch will be provided around noon or towards the end of the event.